According to U.S. News & World Report, its overall rankings evaluate colleges and universities on 16 measures of academic quality. They allow individuals to compare at a glance the relative quality of U.S. institutions based on widely accepted indicators of excellence such as first-year student retention, graduation rates and the strength of the faculty. 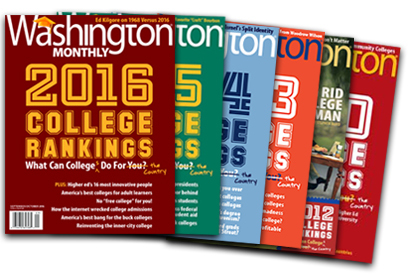 Washington Monthly ranks four-year schools (national universities, liberal arts colleges, baccalaureate colleges and master’s universities) based on their contribution to the public good in three broad categories. Those categories: Social Mobility (recruiting and graduating low-income students), Research (producing cutting-edge scholarship and PhDs) and Service (encouraging students to give something back to their country). Mississippi University for Women was recently recognized as one of the top universities for the support of transfer students in the nation. Phi Theta Kappa, the international honor society for associate degree-granting colleges, named The W to the 2018 Transfer Honor Roll. Ranking The W at No. 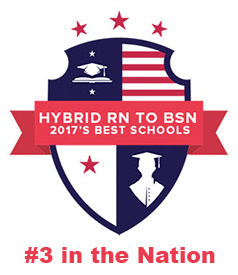 3, the top 50 ranking was produced by rntobsnonlineprogram.com, a site dedicated to connect nurses with the degree programs and feature the best RN to BSN programs online from all across the nation. The site looked at programs that combine both online learning and face-to-face instruction. For the sixth year in a row, Mississippi University for Women has been named one of the best colleges in the nation to work for, according to a survey by The Chronicle of Higher Education. It also was the sixth consecutive year for The W to be named to the prestigious Honor Roll with only 10 institutions in the small category (2,999 or fewer students) receiving this recognition. The results were announced online today and were based on a survey of over 45,000 employees interviewed on campuses nationwide.